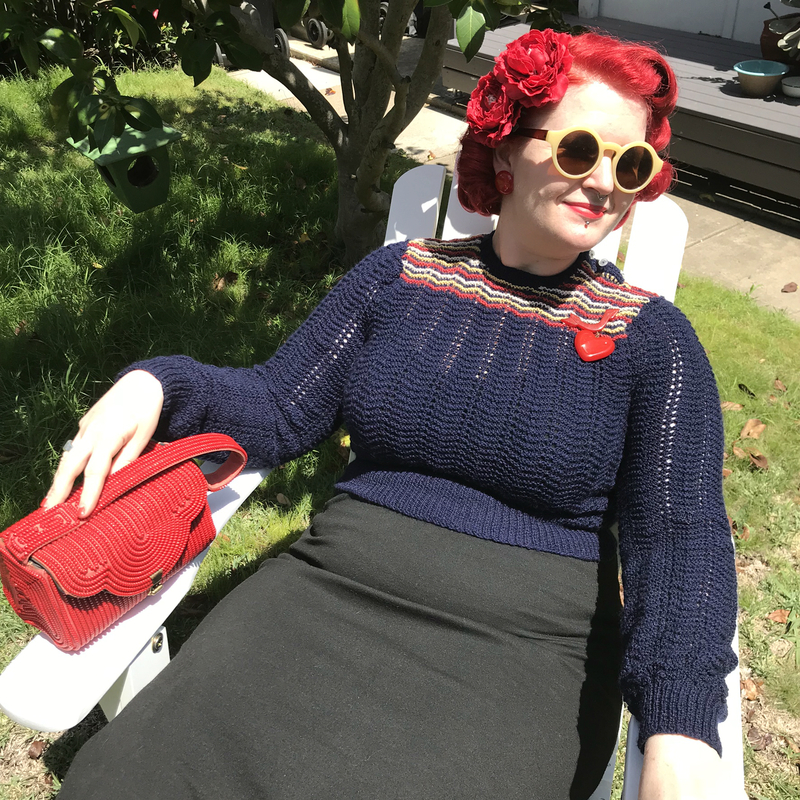 I was really excited when I heard about this book on Ravelry – I pre-ordered straight away and it arrived (early) last night! 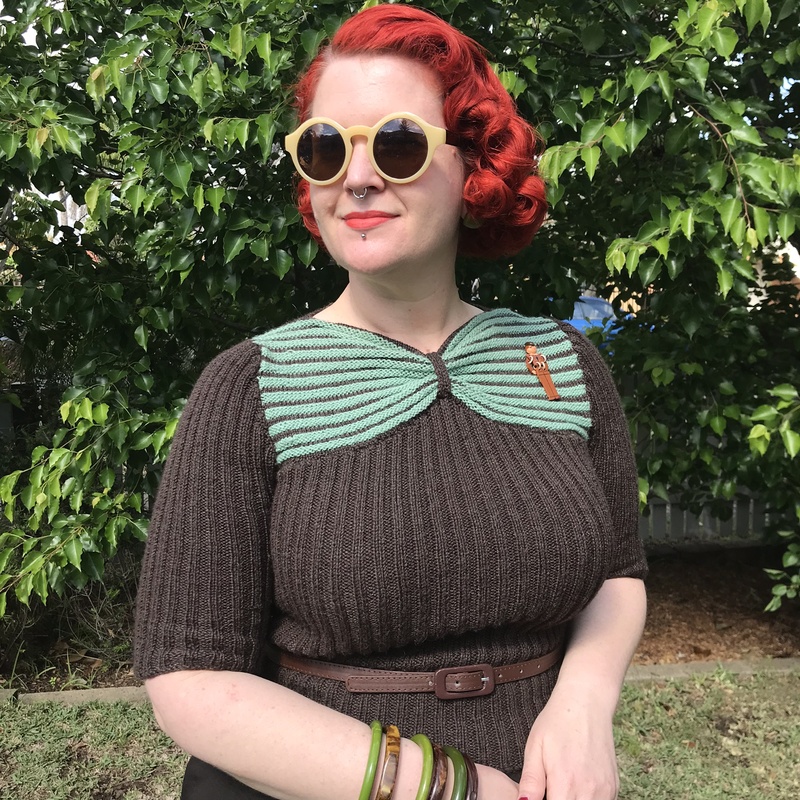 Knit Back in Time (or Vintage Design Workshop, if you’re in the US) is written by blog author Gerry Warner from Skiff Vintage, and she definitely knows what she’s talking about. Firstly, what this book isn’t. 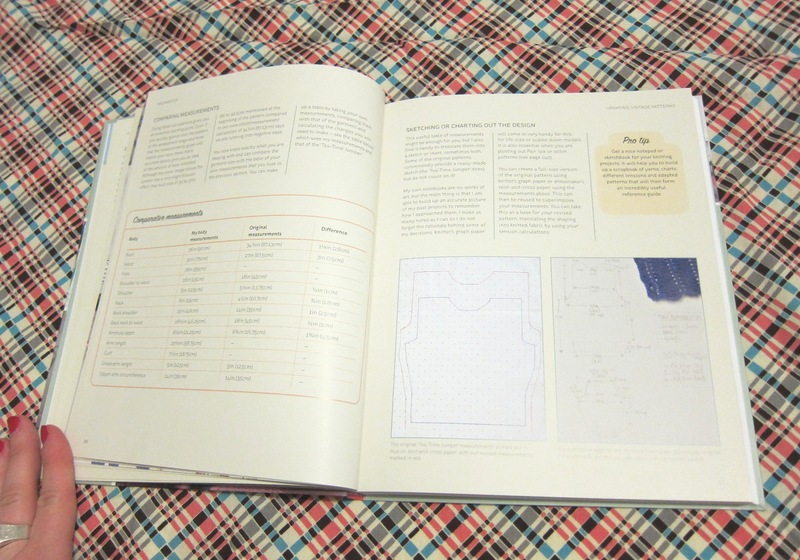 This book isn’t a pattern book like ASIT, it doesn’t contain any knitting patterns (unfortunately). That’s my only disappointment with the book, as the examples she gives would be wonderful to knit up yourself (although I have half of them in my collection already, yippee!). 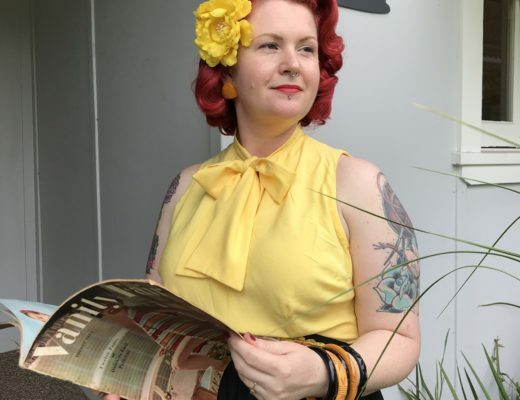 I wish this book was around 3-4 years ago as it has EVERYTHING you need to know about re-sizing, altering and reconstructing vintage knitting patterns. Changing a sleeve head to be puffed, pleated or box shaped (and a section on knitted shoulder pads). 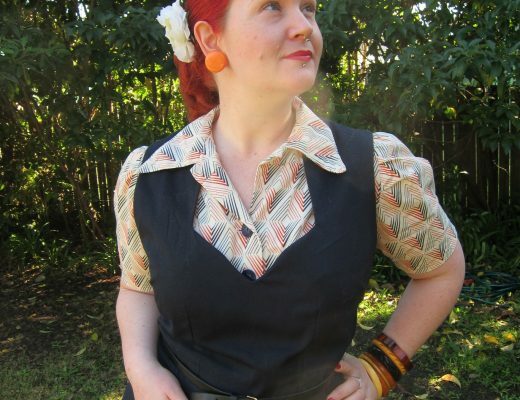 Traditional embroidery and fair-isle patterns. 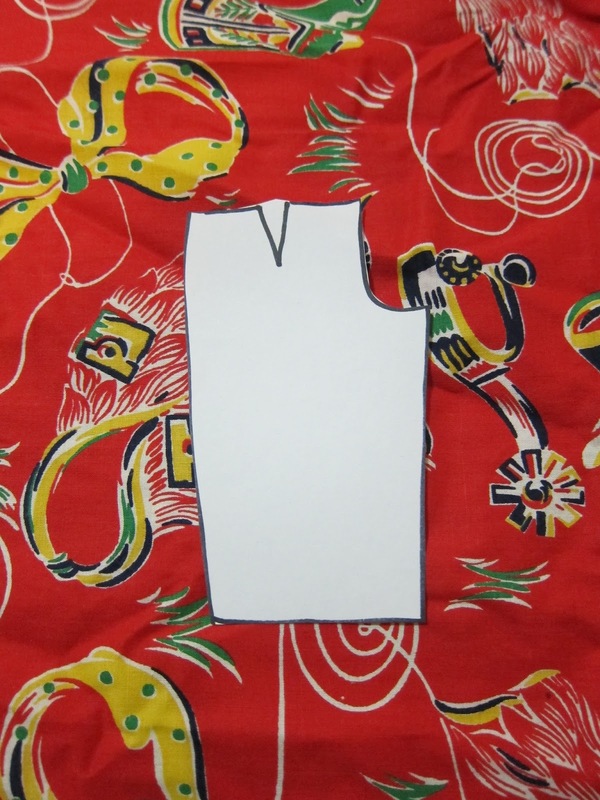 Making a toile from a t-shirt to check the fit first – what a great idea! 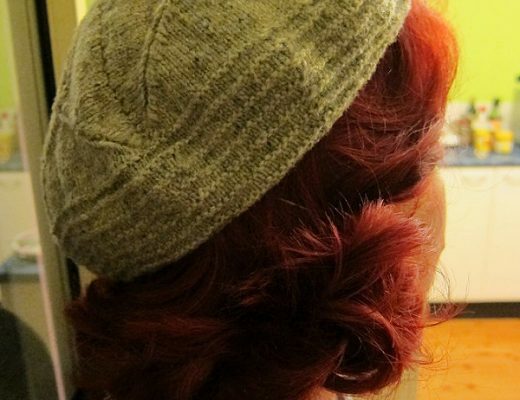 I’m definitely giving this a try when I knit something tricky. 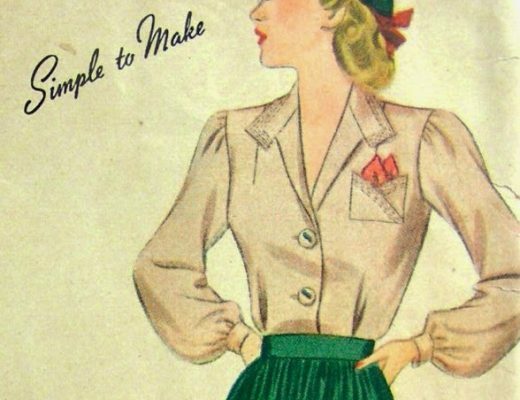 This book is perfect for someone who wants to knit vintage, and isn’t sure where to start. I would recommend it to you without a doubt. The layout is pleasant on the eye, and complex techniques are explained really clearly. The wording is encouraging without being patronising or too ‘chummy’, which I personally like. 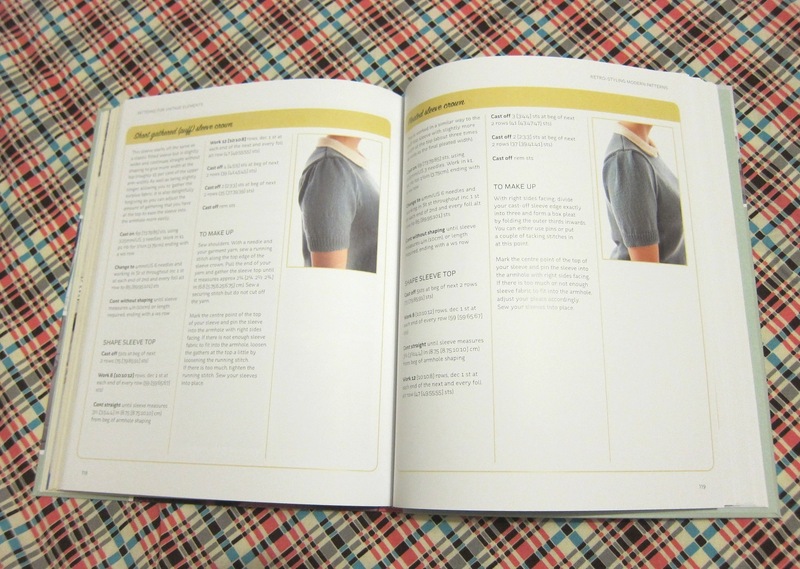 Even though I would describe myself as an ‘experienced intermediate’ knitter, this book has all the technical information I could ever want, in one place. 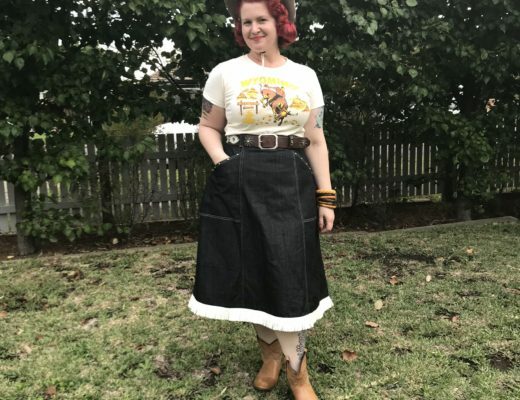 The only parts I wasn’t happy with were the tiny photos of the vintage patterns that inspired the author (it’s hard to see the detail) and there not being any patterns included. 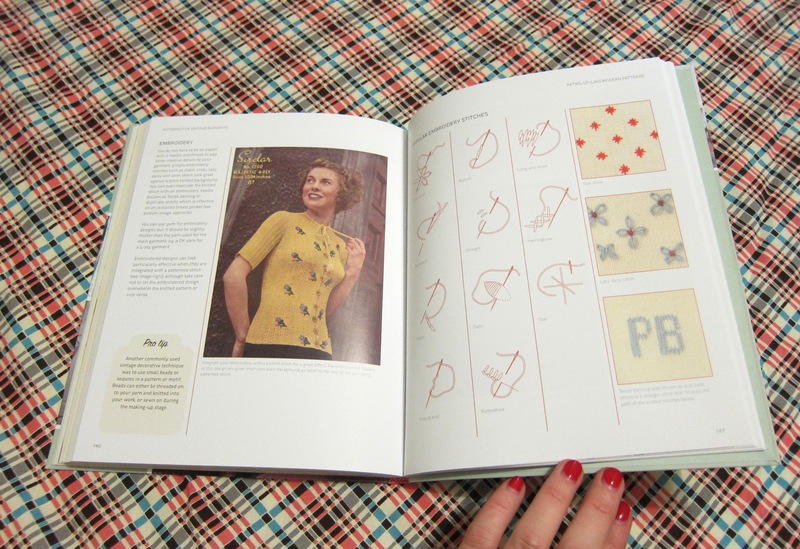 Maybe it’s because I’ve been spoilt by other vintage knitting books? 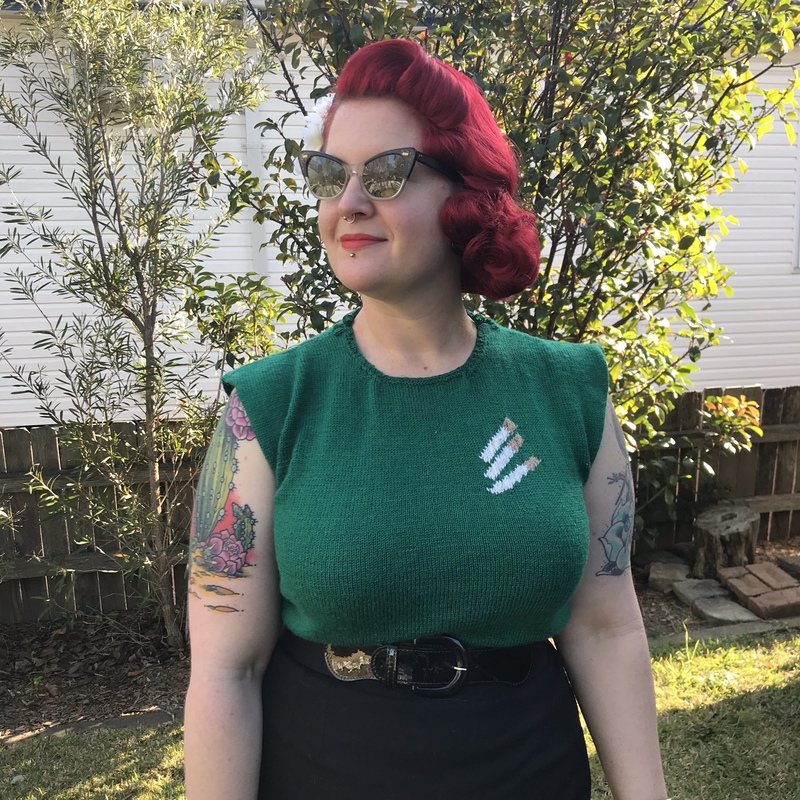 It would have been nice to see a basic sweater pattern, and then her walk through the changes she made to get to her vintage-inspired piece (the pale blue sweater with the peter pan collar in my fifth photo is a great example). 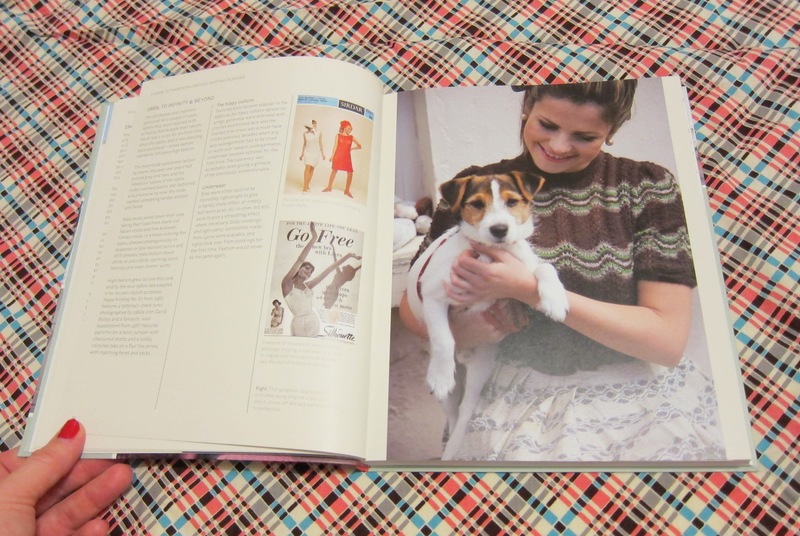 All those pretty designs and jumpers were a cruel tease! 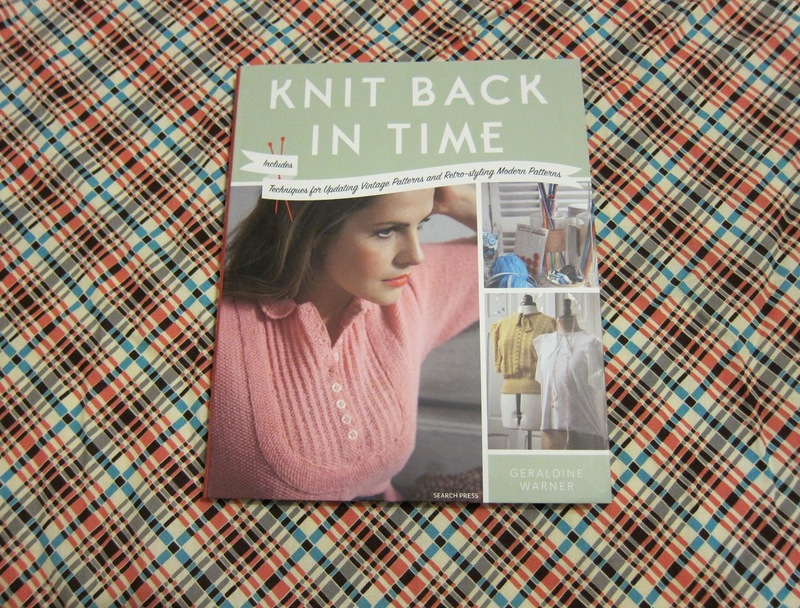 Novice Knitters – if you have any interest at all in knitting from vintage patterns, then this is the book for you. 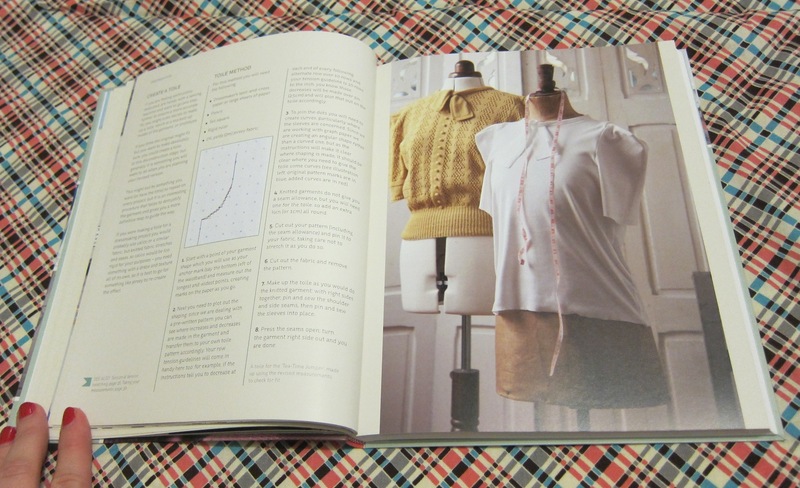 Experienced Knitters – finally, a book with tricky construction techniques broken down. 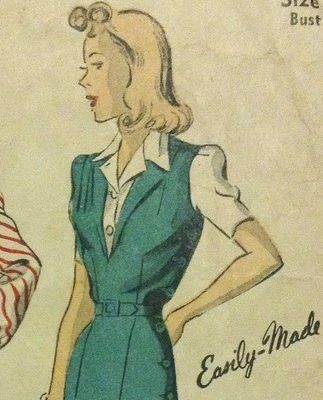 A perfect reference for when you need to upsize complex vintage patterns. 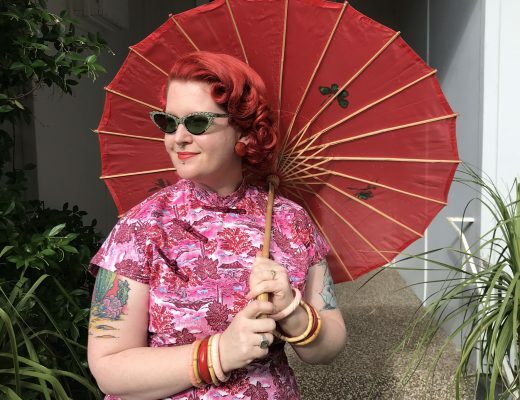 Thanks for the review – it looks like a great book! I will add it to my birthday wish list! 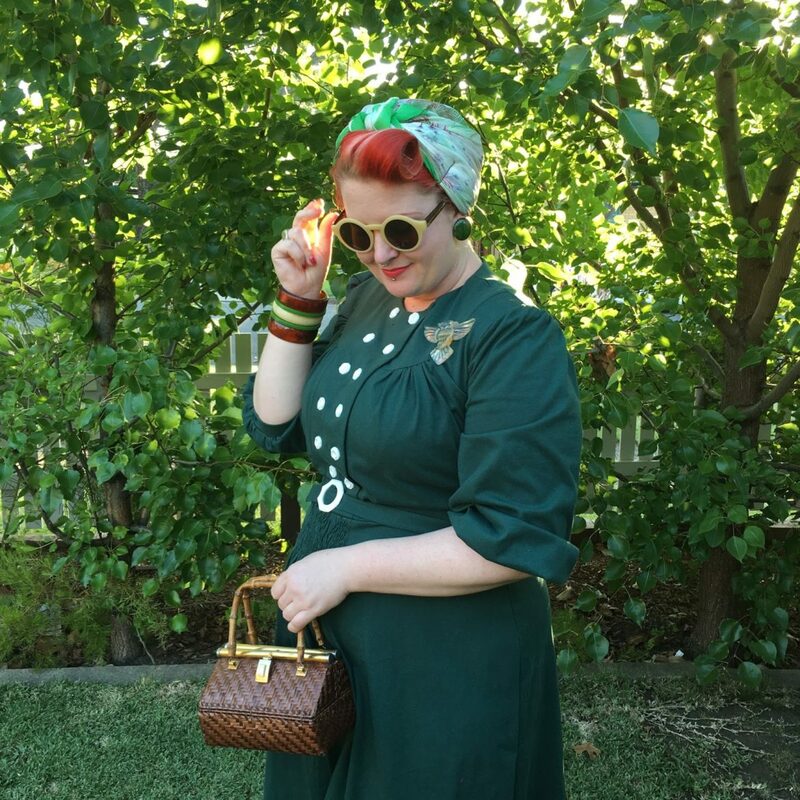 Great idea – maybe Gerry will host a KAL on her blog (hint, hint).